Pacific NorthWest Computers: New Computer Software To Have & Use: 101 *INCLUDING VIRUS CLEAN-UP HOW-TO!! New Computer Software To Have & Use: 101 *INCLUDING VIRUS CLEAN-UP HOW-TO!! With all the software that is out there for surfing the web and for security, it can be kind of confusing which programs you should or should NOT use. Maybe you have a brand new computer that you need to setup. Or you are looking to get your current system spruced and/or re-secured. Or maybe you are looking to overhaul your system's software completely! Here are some of my recommended software programs that I personally like, use and recommend. As well as a basic "How-To" to help get you going on running virus scans and to assist with tuning up your computer! The Web is all about innovation, and Chrome sets the pace with dozens of new features to deliver a faster, more secure and customizable Web browsing experience for all! Google Chrome raises the bar for security. The new malware and phishing protection helps protect from viruses, worms, trojans and spyware to keep people safe while surfing on the Web. Microsoft Security Essentials provides real-time protection for your home PC that guards against viruses, spyware, and other malicious software. Microsoft Security Essentials is a free and effective antivirus that is easy to use, and is always kept up to date. So you can be assured your PC is protected by the latest technology. It’s easy to tell if your PC is secure — when you’re green, you’re good. It’s that simple. Microsoft Security Essentials runs quietly and efficiently in the background so that you are free to use your Windows-based PC the way you want—without interruptions or long computer wait times. Malwarebytes' Anti-Malware is a high performance anti-malware application that thoroughly removes even the most advanced malware and spyware. 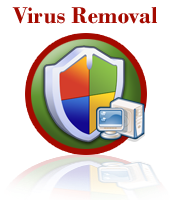 With one of the fastest, most effective quick scans and malware removal capabilities on the market, this program is the perfect addition to your PC's defenses. The full version of the product includes a number of key features, including the ability to schedule updates and scans and most importantly, a real-time malware protection module that blocks malicious processes before they even start. Spybot - Search & Destroy detects and removes spyware, a relatively new kind of threat not yet covered by common anti-virus applications. Spyware silently tracks your surfing behavior to create a marketing profile for you that is transmitted without your knowledge to the compilers and sold to advertising companies. If you see new toolbars in your Internet Explorer that you haven't intentionally installed, if your browser crashes inexplicably, or if your home page has been "hijacked" (or changed without your knowledge), your computer is most probably infected with spyware. Even if you don't see the symptoms, your computer may be infected, because more and more spyware is emerging. Spybot-S&D is also absolutely free. **NOTE! During the installation of this program, a feature called "Tea-Timer" will attempt to install and run. DO NOT INSTALL or ARM THIS FEATURE! It can be very intrusive and create conflicts with other security software you may have installed. HijackThis inspects your computers browser and operating system settings to generate a log file of the current state of your computer. Using HijackThis you can selectively remove unwanted settings and files from your computer. Because the settings identified in a HijackThis log file can belong to both legitimate software and unwanted malware, it is important to use extreme caution when choosing to removing anything using HijackThis. CCleaner is a free PC optimization tool. It combines a system cleaner that removes unused and temporary files from your system and also a fully featured registry cleaner! CCleaner allows Windows to run faster, more efficiently and gives you more hard disk space. The best part is that it's Small, Fast and Free! 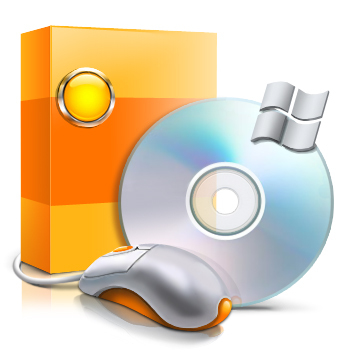 Revo Uninstaller free lists the installed programs and components for all and current user. With a choice of views, as well as a context menu, information on program components is available: program properties, their registry entries and links to manufacturer's web site, for a start. The "Search" option finds installed applications just by typing the first few letters of their name. Revo Uninstaller Free scans for "leftovers" with advanced algorithms that are precise, fast and very effective in searching for leftover Windows Services, Drivers, File associations, Shell Extensions, COM components, Windows Installer components, program settings and more! MyDefrag (formerly JKDefrag) is a disk defragmenter and optimizer for Windows 2000/2003/XP/Vista/2008/X64. Completely automatic and very easy to use, fast, low overhead, with several optimization strategies, and can handle floppies, USB disks, memory sticks, and anything else that looks like a disk to Windows. Why use this defragger instead of the standard Windows defragger? Totally automatic, extremely easy to use. Directories are moved to the beginning of the disk. Reclaims MFT reserved space after disk-full. Maintains free spaces for temporary files. Can defragment very full harddisks. Can defragment very large files. Can defragment individual directories and files. Can be run automatically with the Windows Scheduler. Can be used from the commandline. Can be used as a screen saver. Can be run from cdrom or memory stick. Sources available, can be customized. Create PDF documents on the fly — for Free! Portable Document Format (PDF) is the de facto standard for the secure and reliable distribution and exchange of electronic documents and forms around the world. CutePDF Writer (formerly CutePDF Printer) is the free version of commercial PDF creation software. CutePDF Writer installs itself as a "printer subsystem". This enables virtually any Windows applications (must be able to print) to create professional quality PDF documents - with just a push of a button! ALL FOR FREE! VLC media player is a highly portable multimedia player for various audio and video formats as well as DVDs, VCDs, and various streaming protocols without external codec or program. It can also be used as a server to stream in unicast or multicast in IPv4 or IPv6 on a high-bandwidth network. DVDs, VCDs, and Audio CDs. Network streams: UDP/RTP Unicast, UDP/RTP Multicast, HTTP, RTSP, MMS, etc. From acquisition or encoding cards (on GNU/Linux and Windows only). Sumatra PDF is a slim, free, open-source PDF reader for Windows. Sumatra has a very minimalistic design and is no where NEAR the security risk that Adobe Reader can be. Simplicity has a higher priority than a lot of features with Sumatra. It's small, secure and starts up very fast. Picasa is software that helps you instantly find, edit and share all the pictures on your PC. Every time you open Picasa, it automatically locates all your pictures (even ones you forgot you had) and sorts them into visual albums organized by date with folder names you will recognize. You can drag and drop to arrange your albums and make labels to create new groups. Picasa makes sure your pictures are always organized. Picasa also makes advanced editing simple by putting one-click fixes and powerful effects at your fingertips. And Picasa makes it a snap to share your pictures, you can email, print photos home, make gift CDs, instantly share your images and albums, and even post pictures on your own blog. Now here are some basic instructions on how to use the security programs we recommended above! You may need to click ok a few times but this process takes only a minute to download and install updates on a high-speed internet connection. Once the program has been updated, select “Scan Now” or “Check for Problems” and run a system scan. If you are given the option to run Quick or Full scan; always run the Full scan. This process can take an hour to a couple of hours to complete and will slow down the computer if you decide to use the computer as it scans. Once the program says it’s completed its scan, delete or quarantine any and all findings; if the malware can’t be removed, contact Pacific NorthWest Computers ASAP! Run full scans with theyour security software every 2 weeks if you can; at-least once a month. All the security software is 100% free but can also bee purchased. During updates, these programs may pop up an ad for a purchasable version of themselves. But don’t be alarmed! Just simply click an available “later” or “ok” button or just close the box with its upper right "X" button. Use CCleaner to help with the “junk file cleanup” that needs to be routinely cleared for security and performance purposes. To do this, just find and double click the CCleaner icon and then simply click “Run Cleaner”. When it says it’s completed, you’re all done! Use MyDefrag to help keep the files on your hard drive organized as well as help to keep your computer and hard drive running the best that it can! At least once a month run a "System Disk Monthly" de-fragmentation on your "C:\" drive. If you have external hard drives, you can run a "Data Disk Monthly" de-fragmentation on those drives as well to help maintain optimal read/write performance. Also, there area Daily and Weekly defragmentions you can run for both types of hard drives as well.